If you read any popular blogging tips online (like on this site), WordPress is often the software behind the site. There’s a good reason for it too. WordPress is the best software to easily build a site and a blog without much technical know how. An increasing number of marketers are finding that it’s an amazing tool to help them grow a profitable business empire and are switching from Blogger. Besides being a good communication tool, blogging is also a great way to make money. If you’re new to blogging and yet want to start quickly, there are several business models you can try for maximum results in a short time. 1) Get paid to blog – Using this method, you create your blog and add a few good articles to it. Then you signup with paid blogging networks like Pay Per Post or Review Me and see what “opportunities” are available. These networks are filled with advertisers looking for blogger who can help them spread the word, and they are willing to pay. Accept the opportunity, write about it on your blog, and you get paid. 2) Create AdSense WordPress blogs – This option requires a little more technical know-how. You need to build a WordPress blog on a specific niche topic, and start writing some good content on it. At the same time, try to get links from other blogs by leaving comment on the blogs or by doing a link exchange with the blogger. The objective is to get more traffic who will click on your AdSense ads and make you money. 3) Setup affiliate marketing on WordPress blogs – Again, you set-up a good WordPress blog but with this model the amount of content you publish is not as important as the “selling quality” of the content. Each post you write must pre-sell the web visitor and convince him to click on your affiliate links. When the visitor makes a purchase online after that, you get credited for the sale and earn commissions. 4) Setup an app themes WordPress blog and monetize it – A few years ago, AppThemes revolutionized the “app themes” market and began selling niche themes such as a classifieds theme, job board theme, directory theme, and even a coupon theme. Now you can setup your own niche site and make money by selling ads, business listings, etc. Ultimately, which model you choose depends on how much time and resources you can dedicate to creating and managing your blogs. Your best bet is to choose a low-investment option at first. When you get the hang of it, you can venture into other blogging models as well. Just find something you are passionate about and start writing. Sprinkle in some AdSense ads and then start writing about related affiliate marketing products. Using WordPress is the best platform to build your empire on and best of all, it’s free. 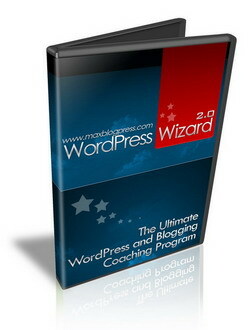 If you’re serious about learning WordPress and making money from your blog, I highly recommend checking out WordPress Wizard 2.0. It’s a great video tutorial series that walks you through everything from the basics of buying a domain, setting up web hosting, installing WordPress, and other great internet marketing strategies. hey Y and G i m using thesis wordpress theme is it ok,and is back linking really that important? there is many kinds of countertop , kitchen coutertop,stone countertop,table top etc . all three points are very good and have to use them all for better result. I using blogspot, wordpress better ? Nope not using it. But thanks for the tip. I’ll check it out. YES!..i think wordpress is best,,,lately been into blogger,and to my surprise my blog got deleted and labeled spam blog which is not…..wordpress is the best! Yes, wordpress is the best in SEO and for monetizing. Gonzalo Higuain scored a hat trick and Argentina beat South Korea 4-1 at the World Cup on Thursday,cheap coach bags putting the South Americans on the brink of qualifying for the next round.Argentina took the lead in the 17th minute when Park Chu-young deflected in a free kick from Lionel Messi. Higuain made it 2-0 in the 33rd after Nicolas Burdisso passed along a cross from Maxi Rodriguez. In first-half injury time, Lee Chung-yong pounced on a defensive mistake to close the gap,coach outlet online but Higuain’s two second-half goals – in the 76th and 80th minutes – put the game away. Argentina leads Group B with six points off two victories and one game remaining in group play. South Korea and coach handbags Greece are tied for second place with three points apiece. which better platform do you think?blogger?wordpress?…lately wordpress release its new version 3.0 and started using it…really love wordpress….think wordpress is the best! hi,guys i know one cool game as runescape,right it is free.it’s “dragon’s call”,the new mmorpg game on 2010.u can have a try on this website. Actually, WordPress can offer different money making scheme to everybody. It’s for us to choose which process is working on us. Like any other platform, we can make use WP to earn money. Compared to other platform also, it’s much easier to use and there are so many plugins available. thanks man for this info . Is there any way to get more visitors to my blog and can you please give me little bit more information on back link of others site on my blog? These are great WordPress resources – I actually just started digging into a really really solid book on WordPress 3.0. It’s got some really nice code samples, and is written by a few pro WordPress developers (including some from Envato). I’m actually giving away 2 copies of the e-book on my site – check out the details about the e-book and the giveaway here – I think you’ll dig it. wordpress is good,but i have create a site by another free cms system,it is also good. I used WP back about 4 years ago and have just started using it again with my new blog, this is a good refresher and it is cool to see all the improvements. Eu não consigo add google no wordpress. insightful article David!!! I would like to express my experience as comment. When i stepped into web designing for getting custom theme for my blog i found a software, since then i am making custom themes with TemplateToaster for my friends. WordPress is a great cms platform for blog or business. thanks for this info !! !